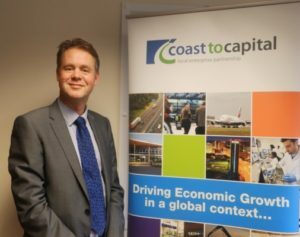 Brighton and Hove’s economic future is tied to growth at and around Gatwick airport, a gathering of regional business leaders heard today (Thursday 19 July). Links with places like Crawley and Croydon were vital but the gap between Brighton and London wages made it crucial to create better-paid jobs closer to home. High housing costs were exacerbating the problem and reinforced the need to come up with ideas to spread wealth and higher-income work. 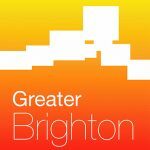 The challenges are spelt out, along with potential solutions, in a strategic economic plan published today by Coast to Capital, the local enterprise partnership (LEP) for Brighton and the surrounding area. Coast to Capital chief executive Jonathan Sharrock spoke about the strategy – called Gatwick 360° – at an event at the American Express Community Stadium in Falmer. Mr Sharrock told more than a hundred business leaders that skills and innovation were vital but so were projects like the Windmill Junction upgrade on the Brighton main line railway. 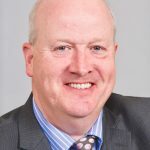 Investment in our digital future is another priority identified in the strategy document – and an area in which Mr Sharrock highlighted Brighton’s potential. 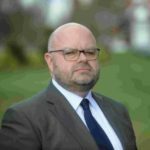 But he said that economic growth over the past 10 years had been relatively poor in the region, which stretches from Croydon to Brighton and includes the Gatwick Diamond, East Surrey and West Sussex. Yet more than £2 billion had been invested in Gatwick and the airport had attracted valuable freight business in addition to an impressive rise in passenger numbers. 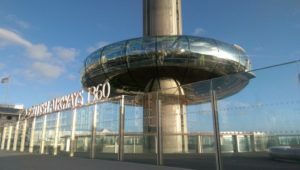 Gatwick’s chief commercial officer Guy Stephenson said that future benefits would include thousands more jobs over the next five years while reducing the airport’s carbon footprint. Mr Stephenson said that Boeing was setting up a base at Gatwick – and that the airport was contributing £30 million to the modernisation of Gatwick railway station. In Brighton and Hove, Mr Sharrock said that the LEP had supported 18 projects, including the i360, Circus Street and some of the development by Brighton station. And he mentioned the challenges, opportunities and focus on export possibilities resulting from the Brexit process as the government continues to steer Britain’s exit from the European Union. Business Secretary Greg Clark, responsible for the government’s industrial strategy, sent a recorded message which was played at the LEP’s AGM (annual general meeting). He urged the LEP and local political, civic and business leaders to use their local knowledge to build on the region’s strengths. To help, the LEP would start an “escalator” programme in the autumn aimed at businesses with high growth potential. High growth, Mr Sharrock said, meant the prospect of either a 20 per cent rise in turnover or job creation every year for three years. “They’re hard to find and tend not to be at events like this,” he told the AGM. But innovation centres and scale-up centres could help them, he said, adding that they often felt that the business environment was unfriendly. We want to help them overcome the barriers to their growth, he said. 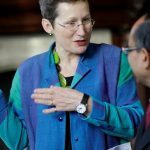 The Brighton and Hove Economic Partnership and Brighton and Hove City Council are working together on a more localised economic strategy which is expected to dovetail with the LEP and government strategies.